You know how much I love eye liners, right? Especially the pen ones. 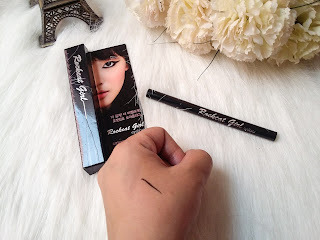 I have reviewed a few pen liners here on my blog and to add up on my collection, I want to share with you my confession about Dearberry RockCat Girl Liquid Eye Liner. I have been obsessed about Dearberry since last year. While I am trying their products, I can honestly say that everything is worth it.  I have posted some of my reviews about Dearberry and I want to continue to share this good brand to you. 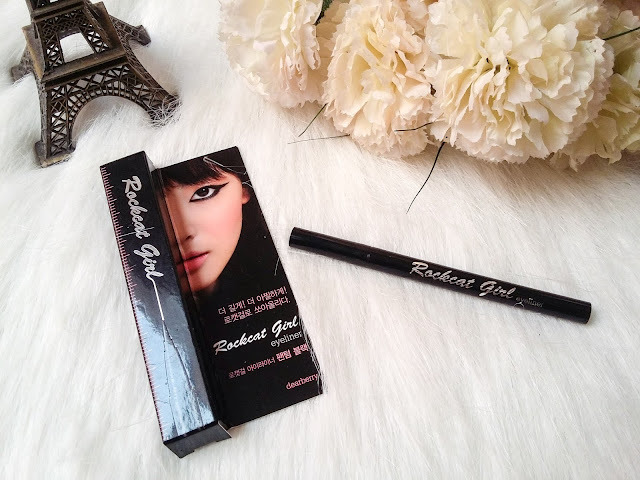 The Dearberry RockCat Girl Eye liner comes in this black box. 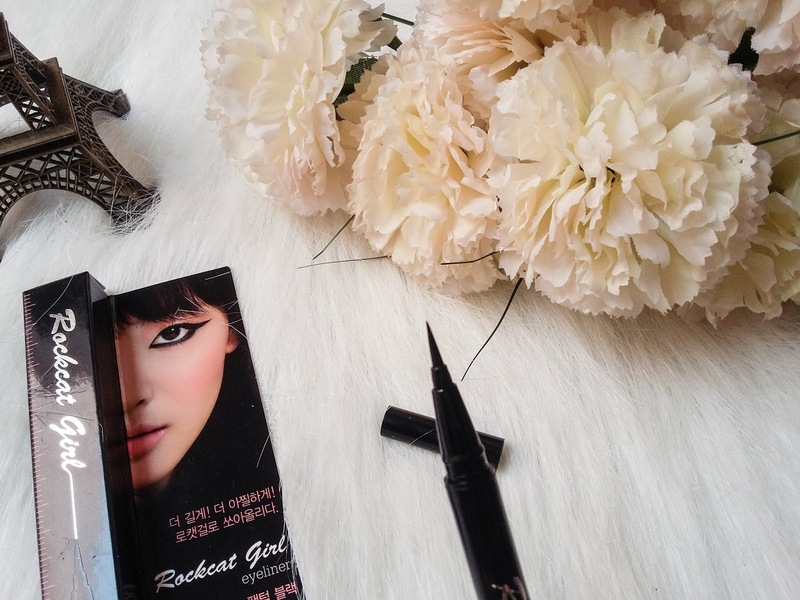 The first time I looked at the box, I was challenged to do the winged eyeliner look. See that girl's winged eye liner? The pen's tip is pointed and the pen itself is very easy to grip. This is what I like about pen liners, it's easy to glide on the lids. At one swipe, you can achieve the color because the eye liner is very pigmented. By simply swiping the pen's tip, you get this dark black shade on your lids. I'm still trying to do the perfect winged liner. Lol. But this is how it looks like when applied on the lids. The Dearberry RockCat Girl Pen Liner stays for 8hours on my lids. I don't actually retouch this eye liner and if I will not remove it, it will not wear off. Plus points! It instantly gives accent to the eyes. I wish that this eye liner is more affordable like in the range of 250-300. 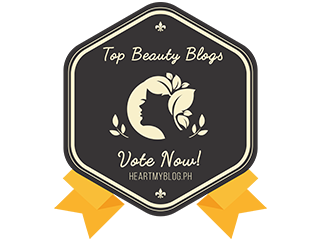 While most Dearberry products are hard to find in the market, you can still buy online via BeautyMNL or authorized Dearberry resellers. I have this Rockcat girl eyeliner and I agree na ang ganda talaga nya. 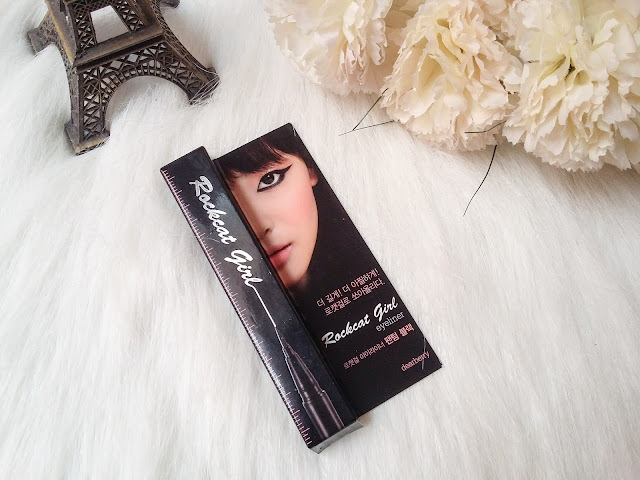 At totoong long lasting at smudge proof sya(wag lang yung o.a na pagsmudge) Ang dow side lang nito, medyo pricey sya compared sa ibang brand tulad ng Maybelline or Nichido na may mga magaganda ring liquied eyeliner.